Did Vote Leave abuse the rules to 'spend as much as necessary' to win? We've uncovered a small but revealing error which calls into question all their denials. Cambridge Analytics whistleblower Chris Wylie gives evidence in the House of Commons today. Image, House of Commons. In April 2016, Aggregate IQ was a tiny digital services firm working out of a cramped office in British Columbia, Canada. The company had no web presence and no obvious track record. Yet over the final two months of the Brexit campaign, several pro-Leave campaign groups (Vote Leave, the DUP, Veterans for Britain – and bizarrely, a 23 year old fashion student named Darren Grimes) would spend over £3.5m with Aggregate IQ. 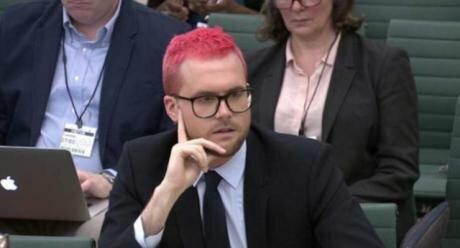 Speaking in parliament today, Cambridge Analytica whistleblower Chris Wylie said that all these Leave groups were working together – and breaking the law. “This must be co-ordination,” he told MPs. Under British law, there are strict campaign spending limits, and groups that ‘work together’ have to pool their spending under one combined cap. But the various Leave groups all declared their spending with AIQ separately, and claim that the firm treated them as separate clients, without co-ordinating their campaigns. This allowed them to throw dramatically more cash than would othewise have been possible into winning the knife-edge Brexit referendum. We now know that AggregateIQ and Cambridge Analytica – the firm behind Trump’s campaign which has been accused of a massive Facebook data breach – are closely intertwined. AggregateIQ developed the very election software that Cambridge Analytica sold for millions of dollars during the 2016 US presidential election. This raises the possibility that AIQ – the company that Vote Leave spent some 40% of their cash with – was using data illegally harvested from Facebook. openDemocracy has been reporting evidence that Leave groups were working together for months. Last year we revealed exactly how Vote Leave took advantage of loopholes in electoral law to funnel £625,000 to the 23-year old fashion student Darren Grimes. Grimes ran a campaign called BeLeave. Another whistleblower, Shahmir Sanni, has now revealed that BeLeave was run from Vote Leave’s offices, and had no control over the sudden, massive £625,000 donation, all of which was spent directly with AggregateIQ. Now, openDemocracy has uncovered more information that casts serious doubt on Vote Leave’s contention that Grimes’s BeLeave was a separate campaign. Vote Leave and Darren Grimes made the very same mistake on their returns to the Electoral Commission. In all, the various Leave campaigns sent 14 invoices to AggregateIQ for digital campaigning and marketing work worth over £3.5m. The DUP and Veterans for Britain correctly listed AIQ’s address in their returns. But Vote Leave and Darren Grimes both listed the exact same incorrect address. And Darren Grimes’s signature doesn’t even appear on the invoice. Cambridge Analytica whistleblower Chris Wylie has called for a parliamentary inquiry into whether the Leave campaigns broke UK electoral law by co-ordinating. Not least because the idea of joint working was actually proposed in public by leading Brexiteer Steve Baker (now Theresa May’s Minister for Brexit) in February 2016, four months before the referendum. Vote Leave, Baker wrote in an email leaked to the Times before the vote, could “create separate legal entities each of which could spend £700k. Vote Leave will be able to spend as much money as is necessary to win the referendum,” Baker, a former chair of a controversial hard-Brexit lobby group, told colleagues. A Vote Leave spokesman later had to clarify that “Steve would never encourage anyone to break the law”. The Electoral Commission is currently investigating Vote Leave’s donation to the 23-year old Darren Grimes – for the third time. This week lawyers concluded that in their formal opinion there was a ‘prima facie’ case that Vote Leave had colluded with BeLeave in order to get round spending limits. Our reporting has raised a number of specific questions about whether the various Leave campaigns were working together. 1. How did four different campaigns find AggregateIQ? There is a string of evidence connecting AggregateIQ and Cambridge Analytica. But there’s still a very simple question about the firm which we’ve been asking for a year, and still haven’t had a decent answer to. How did the various Leave campaigns find a company that, as the Observer's Carole Cadwalladr has shown, didn’t even show up on online searches before the European referendum? And yet four separate campaigns – Vote Leave, the DUP, BeLeave, and Veterans for Britain all somehow did find them. In the case of BeLeave, Darren Grimes, founder of the campaign, claims he heard about the group from friends who worked in the Vote Leave office, who he’d got to know over the course of the campaign. But as we have previously reported, most of the payment to AIQ came directly from the Vote Leave bank account. In the case of the DUP, we first rang their campaign manager Jeffrey Donaldson to ask him how he found out about the company almost a year ago. He said he couldn’t remember, and would have to look through his paperwork. We rang him again today. He told us it was an “internal referral” from one of the DUP’s staff that led him to AIQ, but wouldn’t tell us which staff member, nor how they heard about the firm. But whistleblower Chris Wylie has suggested another reason. 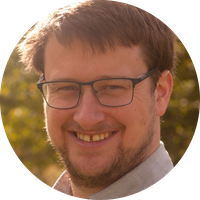 The ex-Cambridge Analytica data specialist told openDemocracy that rather than working on discreet digital campaigns for each of the Leave groups, AIQ effectively pooled all the campaigns together, using resources from smaller campaigns to fund the larger campaigns. “AIQ was running all campaigns together. It wasn’t siloed,” says Wylie, who points to BeLeave to illustrate his point. In June 2016, when BeLeave received £625,000 from Vote Leave, the tiny youth campaign had just over 1,000 emails. If AIQ was only targeting BeLeave supporters it would have almost no data to work with. “They would have been spending £625 for each person they targeted. That would be crazy,” said Wylie. 2. Why did Vote Leave, Grassroots Out, Leave.EU, the DUP and UKIP all used the same obscure branding agency in Ely? Before the European referendum, Soopa Doopa branding in Ely had a turnover of £750,000 and two staff. In 2015-16, this boomed to £2.1 million on the back of a string of contracts with supposedly different campaigns. We spoke on the phone with the company’s founder, and asked how all these different campaigns had ended up finding his company. He replied that they were all really the same campaign, weren’t they? So we went to Ely, to track the firm down. After touring the various addresses listed on Companies House and with the Electoral Commission, we found ourselves outside its official HQ: an empty house at the end of a suburban terrace row. The company’s founder, Jake Scott-Paul, is a vocal Brexit supporter. Among his 142 Twitter followers (when we wrote about them last year) were the biggest Brexit donor Arron Banks and his spokesperson Andy Wigmore. You can read about our Soopa Doopa adventures here. 3. Where does Veterans for Britain fit in? Rotherham told openDemocracy that during his time working for Vote Leave, he “was in touch with a range of Eurosceptic campaigners, of which VfB [Veterans for Britain] was one group” – which in itself breaks no rules. He denies all allegations of co-ordinating campaign activities and expenditure, denies referring AggregateIQ to the group, and denies being behind the £100,000 donation. Veterans for Britain also received a £50,000 donation from Arron Banks’ firm ‘Better for the Country Ltd’, which donated to a range of different Leave campaigns. Former cabinet minister & PR agent Priti Patel at Veterans for Britain's final campaign event event before the referendum. Image, Hannah McKay, PA images, all rights reserved. 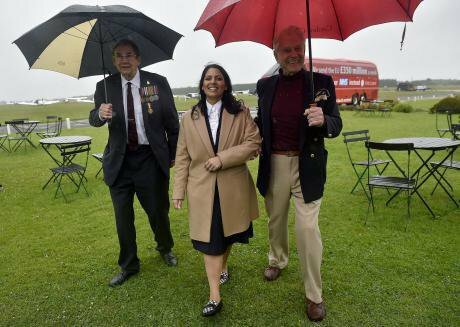 The famous Vote Leave bus is visible in photos (see above) from Veterans for Britain’s final event, with WWII veterans at an airfield in Berkshire, which was attended by Brexit-supporting Tory minister Priti Patel. If this was a joint event, we could expect it to count under working together rules. Yet Vote Leave doesn’t seem to have declared it. You can read our profile of Veterans for Britain here. 4. The DUP got a £435,000 secret donation, then spent it with the same groups as everyone else. Another coincidence? The Democratic Unionist Party had two members of the Vote Leave board, Nigel Dodds and Christopher Montgomery – respectively the DUP’s leader in Westminster, and the DUP’s Westminster chief of staff. The latter was later credited in a pro-Brexit website with “bringing together Conservative and DUP MPs” to deliver Brexit. As openDemocracy revealed last year, the party received a controversial donation of £435,000 from an anonymous source (via a front group in Glasgow with lots of surprising links) and, like Veterans for Britain and BeLeave, they spent the money in the final fortnight of the campaign. While the biggest single chunk of it was £282,000 for adverts in the Metro, the rest of their major items of spending went to Soopa Doopa and AggregateIQ: the same obscure firms used by Vote Leave and other Leave campaigns. The DUP went on to use AggregateIQ again in a subsequent Northern Irish Assembly election, employing the firm to run campaigns for candidates running in the main university constituencies. 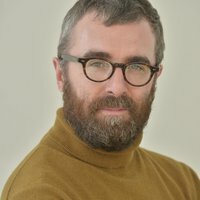 Vote Leave in Northern Ireland was co-ordinated by Lee Reynolds, who was on secondment from his job as campaign manager from the DUP, though Reynolds has previously denied to openDemocracy that there was co-ordination between the two campaigns. In the UK, donations to political campaigns are capped to limit the influence of the hyper-rich on British democracy. But it increasingly looks like the European referendum was used to pioneer a range of techniques for circumventing these rules. Whatever our various opinions about Brexit, we should ask ourselves a simple question: do we want to live in a country where anyone can, to quote Steve Baker, “spend as much money as is necessary to win”?